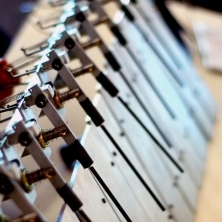 Glockenbot is an electro-mechanical metallophone with timbres similar to a glockenspiel. 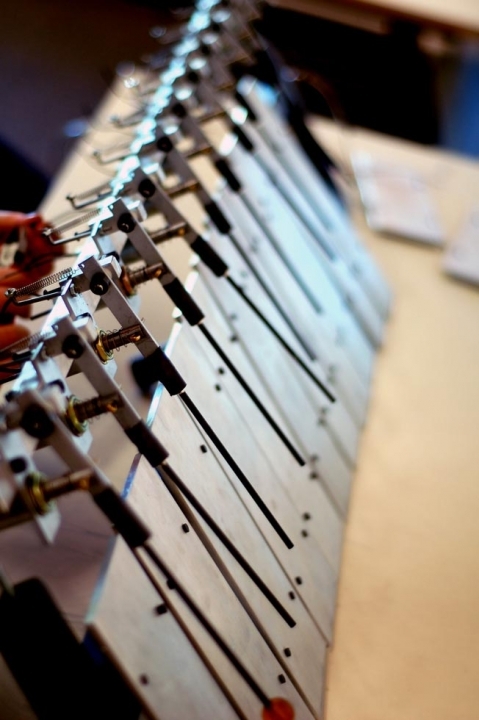 The actuators strike hand-tuned 6061 T6 aluminum bars (an aluminum alloy with nicely resonant properties). 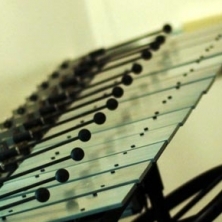 The instrument can play a chromatic octave from D4 to D5 and was designed without a damping system to permit audio tones with very long decay times. 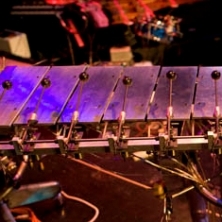 Built in the spring of 2010, Glockenbot premiered during the CalArts Machine Orchestra show on May 13th, 2010. In February 2011, the bot was completely revamped with faster beater assemblies and new electronics & wiring. 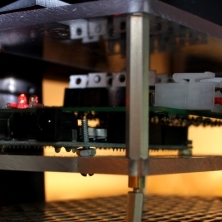 Additionally, two actuated slinkies were mounted to the frame for amplified laser-like sound (intense research revealed the need to incorporate more sci-fi laser-like sounds into the Machine Orchestra). 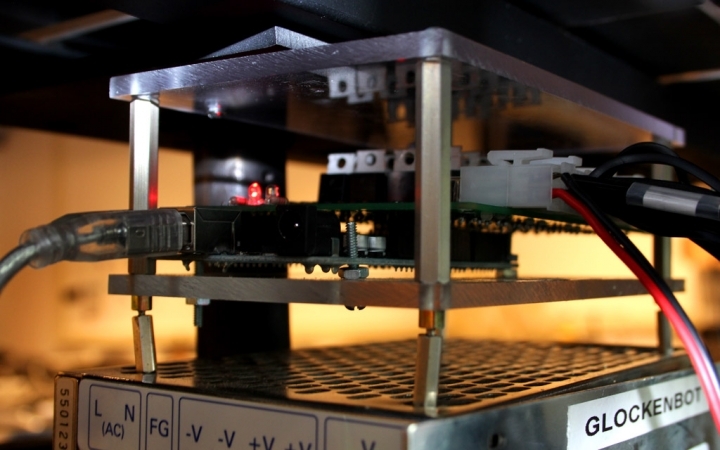 Built on the base of a discarded office chair, Glockenbot is controlled via HIDUINO, a custom MIDI firmware for AVR microcontrollers.